Experience an outstanding holiday at your Golden Triangle Tour with Pushkar Fair. 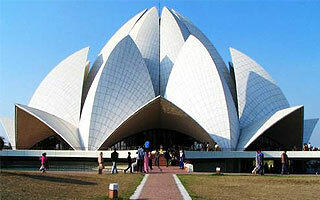 Delhi, Agra & Jaipur are the three most visited cities by the tourist coming to India. The beauty and uniqueness of the cities is so varied that no one can stop themselves exploring them again and again. The charm of visit just multiples when your travel is in between Pushkar fair. A grand camel fair which held in October-November every year in Pushkar is centre of attraction and fascination among the tourists visiting Pushkar. Each and every day of the Pushkar Fair brings new excitement and activities to participate. Engagement of people and tourists is the greatest highlight of the fair. The scenario brings a magic when guests and host come together to enjoy games and competitions. So get ready to pack your bags and enjoy the gigantic Pushkar fair tour with Golden Triangle India. Plan Our Travel India Pvt. Ltd. representative will welcome you holding the pla card of your name in hands at the arrival lounge of Delhi International Airport and assist you to transfer and check in at the hotel. After freshen up evening is at leisure. You can explore local market and shops of Delhi. If want to enjoy the youthfulness and happening life then Cannaught Place area and Hauz Khas Village area will be perfect place. Here you can get superb restaurant, disco theats and traditional restaurants serving Indian cuisine too. Morning after breakfast proceeds for the guided city tour of Delhi with government approved English speaking guide. During the tour you will get a chance to experience too shades of Delhi. One old Delhi which would cover a drive pass visit to Red Fort, Chandani Chowk shopping and market area. A small rickshaw ride to market will make your day. Rajghat which is a memorial dedicated to father of Nation Mahatma Gandhi. Narrow streets, traditional shops and historical constructions will make you feel the old India. Once you head to the New Delhi a totally new and different world greet you. You will visit India Gate, drive pass to Rashtapati Bhawan, Humayun’s Tomb, Qutub Minar & Lotus Temple. Your city sightseeing tour will take you to the voyage of rich history of Delhi. Yet today Delhi holds the color of modernity but still the ethnicity is alive in the heart of Old Delhi. Evening you can explore local market and shops of Delhi. Morning after breakfast drive to Agra, city of Taj Mahal. Agra city has been the prominent tourist centre in the world because of the masterpiece of excellence and symbol of love- The Taj Mahal. On arrival Agra check into the hotel. After freshen up proceeds for the guided city tour of Agra with government approved English speaking guide. Take the glimpse of Taj Mahal first, this marvellous monument was built by Sha Jahan in the memory of his wife in 1630 AD. The monument has been the centre of fascination among the world that how some structure can be so beautifully carved that whenever some take a glance of it eyes got stuck to it. The monument is like a love song written on marble. After visit of Taj Mahal explore the extravagant Agra Fort. The fort reminds of the history and the shades and turn it took in bygone years. One of the massive and important structure of Agra this fort is a must visit place during Agra visit. After sightseeing explore local markets of Agra, Agra is famous centre for shopping of leather goods and items. You can shop factory and handmade leather goods, shoes, bags and other items. Morning after breakfast drive to Jaipur, en route visit Fatehpur Sikri. Fatehpur sikri is bult by Akbar in 1569 AD as his new capital. Due to lack of water he had to shift it some other place. Fatehpur is graced with Salim Chisti Tomb, Buland Darwaja, Akbar Palace, Panch Mahal and lots of more massive and beautiful contructions. After visit continue your drive to Jaipur. On arrival check into the hotel. After freshen up you can explore local market and shops of Japur. An exciting Rickshaw ride will help you to explore the city and its local market. You can shops for Gems, stones, puppets, handmade dresses, turbans and lots more from Jaipur. Morning after breakfast proceeds to visit Laxmi Narayan temple which is also known as Birla Temple. Temple is dedicated to lord Vishnu who is considered as operator of the world as per Hindu religion. After temple visit drive to Amer fort and enjoy a joy ride on beautifully decorated elephant to the fort, although you would also have option of jeep ride. After returning from Amer visit Jal Mahal enroute and enjoy camel ride. Explore the beautiful city palace. You will amaze with the palace and its carving beautiful decorated walls, gardens, courtyards and buildings are perfect blend of Rajasthani royal life. Later visit Albert Hall Muesum and Jantar Mantar which is an observatory which still works today. You will find a true work of supreme astrology and science here. Drive pass to wind Palace popularly known as Hawa Mahal will complete you sightseeing tour with its gracious structure. Evening you can plan to go Chowki Dhani theme village and can enjoy Rajashani food, culture, dance and dinner with music. Jaipur also open up an exciting activity of Balloon ride which will certainly be a breathtaking experience. Morning after breakfast drive to Pushkar, visiting Ajmer sharif enroute. It’s the day from when the real celebration of Pushkar Fair 2017 starts. On arrival check into the hotel. After freshen up be the part of the amzing festival. You will fill with inner joy and excitement on seeing the marvellous atmosphere of the fair. Colors, music, joy, happiness, dance, celebration all around the Pushkar. The fair is organized in October-November by Rajasthan Tourism Department and consist of festive days of enormous activities. The schedule dates of Pushkar Fair 2017 is given in details below the itinerary. Imp Note: During Pushkar fair the rates of accommodation raised very high, hence it is advisable to book the tour if specially during Pushkar Fair well in advance to avoid any discomfort. You can participate as according to your date of arrival for Pushkar fair 2017. Later visit Brhama Temple, Puhkar Lake, different ghats and temple around. Enjoy camel ride and participate in the events of fair. Morning take extra diet as the ay would require extra calories. You can’t help and hold yourself to just jump into the celebration and events going on. Rope pulling, Pot races, sack races and much more. This year the Pushkar Fair 2017 dates are from 28th October’2017 to 04th November’2017. You can participate in the different activities. Dpending upon the number of days you have you can extend your tour by informing us in advance. For photography lovers the time is best to capture beautifully decorated camels and some of the amazing clicks of Rajasthani people dressed in their full traditional attires, singing dancing on their cultural music. Traders of camels and horses starts to arrive in Pushkar and set up their camps. It’s got hard to block the space as the fair dates come closer. Gathering starts to increase, if some one has love of photography then this is the best time to come and get some rare and beautiful clicks. The event and camp area became more crowded and the camels and other animals herders start gathering and selling them. The starting day is worth to visit, thousand of tourists gather on the fair ground and enjoy along with participate in the different events organized during the fair. The flock keeps on increasing and you can see many performers and artists performing live like musicians playing folk songs, dances, puppet shows ets. The crowd around temple area of Lord Brahma start to increase for the main even and the other activities keep on going. You can get a chance to enjoy and participate in the various competitions like turban tying, sack races, rope pulling etc. The religious part of fair begins and youc an see colorfully dressed people all around coming to revered the diety. Most of the traders start going back. The pilgrims with full devotion do pooja and reverence to the main deity Lord Brahma. They sing Bhajans, dance and do keertan to praise the lord. This is the full moon night when the devotees take the holy dip on the auspicious and pious water of Pushkar Lake. With grand Aarti and pooja ceremony following with bath the fair will conclude.